Ticket To Ride is one of those games that regularly ends up on our table, it’s just an excellent game. Whenever we want to introduce somebody to the world of board gaming, Ticket To Ride is certainly one of the games we’d recommend. We own the original Ticket To Ride (America) with the big cities expansion and the maps of India and Swiss. We’re still thinking about getting the Netherlands expansion, simply because that’s where we live and our hometown is on the map! 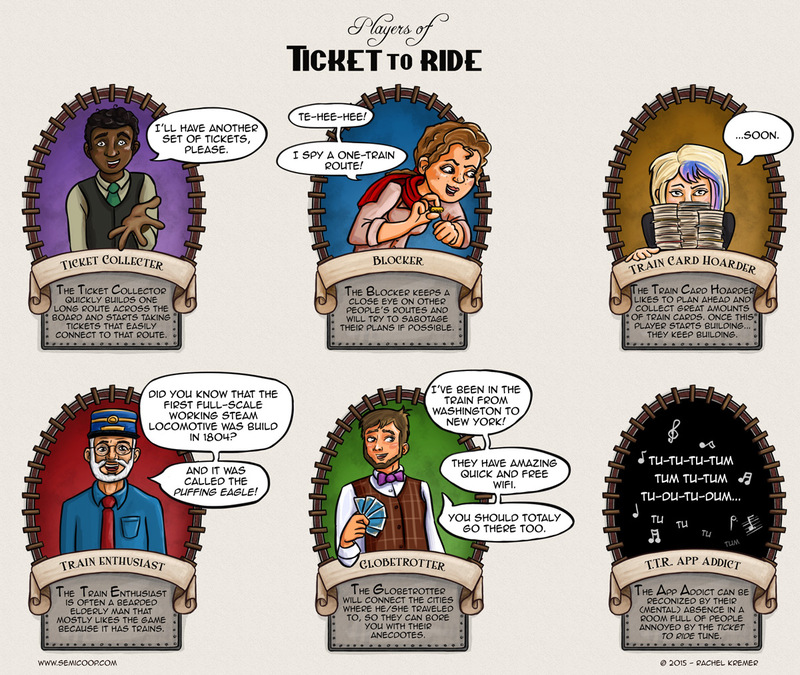 What type of Ticket To Ride player are you and do you know other types? Wow. I think I’d throttle someone if they didn’t mute that asap. Red River Valley’s not my most fav tune, but with the rail-riding-hobo tune they put it with, it’s enough to turn a ticket collecter into a blocker. Am really enjoying your comic! Deze man en vader is duidelijk de train enthusiast. Hij heeft een baard en heeft mogelijk model gestaan voor dit type speler. En hij is al een dagje ouder ? semi co-op is fantastic. 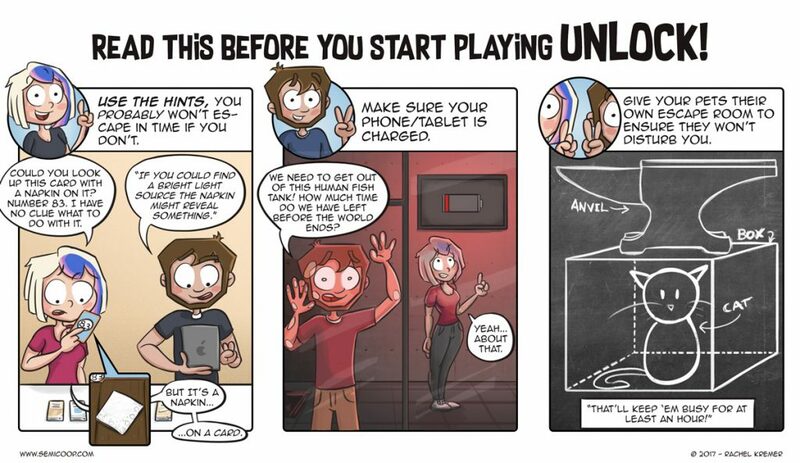 finally I have a comic strip that feeds my most voracious addiction. I’m that one who listens to the Switzerland theme on youtube while playing on any other map. Definitely a ticket collector here. Defenitely ticket collector. Connect east and west coast asap and then keep those tickets coming!